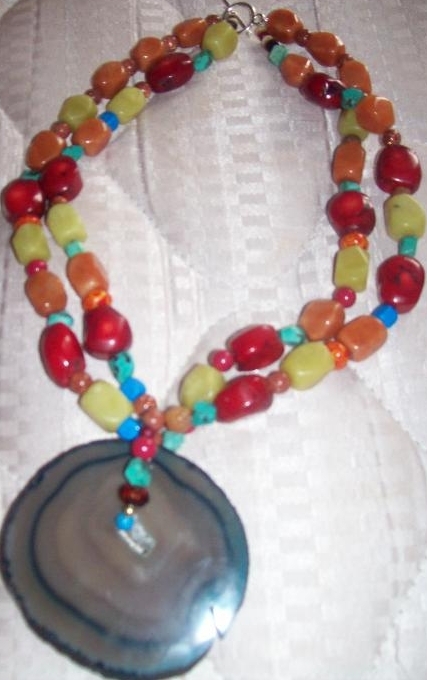 The gypsy necklace. Colorful, fun , witty, whimsical,happy.....what more can you wish for? Hunter green beauty. Bold, sophisticated, elegant. Different shapes & texture of different stones.